That's an odd one as it's a 'conunterpart' at BrickLink which confuses things here, unfortunately. Yeah I get it. After spending an arm and a leg on that set (with the extra face) and a little bit from BL to make the extra fig, I was just hoping to see it in my collection. Either way, though, thanks for all you do! It's odd that there aren't two entries in the database for it: thaty might be the solution., actually. There was a free LEGO build at Barnes and Noble on August 4 for a Hogwarts Express. Here is a link to the directions https://postimg.cc/gallery/hev84260/ Please add to DB. Thanks. Would it be difficult to link those so that each of those Unikitty sets shows that it contains a minifig? Thanks! Isn’t there some debate over whether they contain a minifig, or are just brick built? But if they are already included individually, then I guess it should be consistent. Can a ‘MIDDLE EARTH’ tag be added to the Hobbit and LOTR sets? Could all CMF entries have their availability listed? Even some of the "completed sets" are missing it, and it's really annoying trying to find out availability. Could we get the same treatment for this one, with one "official" minifigure and the other one as a 'counterpart'? What, add 'retail' to them all? We can do but I thought their general availability everywhere was common knowledge, or am I missing something? Could #9022 be added to the database? Found it at the thrift shop this past weekend, grandson is having a blast with these gigantic LEGO blocks. @Huw, I think he may have meant when they were available? Stupid me followed the automatic link to find out what the set was! Glad to see they're working again, anyway. Also, it should list 18 pieces now, not 17. Thanks! On https://brickset.com/browse/sets, "Powered Up" and "Boost" should probably be moved to the Technical category (currently in "other" and "miscellaneous"). The LEGO Movie 2 and Wizarding World themes, if you decide to keep them, also should be moved to the Licensed category (currently in "Other"). The Xtra theme should probably be moved to "Miscellaneous" from "Other" as well, since that's where the Service Packs theme is now. Like, no need to have an "Other" category AND a "Miscellaneous" category. They're practically synonyms (I'm assuming since these are all recent themes that themes created but not yet sorted are dropped in "Other" automatically). Most themes based on movie series (like Harry Potter, Cars, Toy Story, Jurassic World, Star Wars, Indiana Jones, Pirates of the Caribbean, The Lord of the Rings, The Hobbit, etc) list sequels/prequels as subthemes. But the Spider-Man theme has no subthemes except for "Product Collection", even though it has three sets based on the original movie and three sets based on Spider-Man 2. There are no subthemes for sets based on the first Cars movie or the first Jurassic World movie, even though there is an "Original Movie" subtheme for sets based on the first Toy Story movie. The LEGO Movie and The LEGO Movie 2, meanwhile, are listed as their own separate themes (though I suppose as LEGO original properties rather than themes based on non-LEGO movies they may merit unique treatment). Presently, the new LEGO Harry Potter and LEGO Fantastic Beasts sets share the "Wizarding World" theme with subthemes for their respective franchises. However, "LEGO Harry Potter" and "LEGO Fantastic Beasts" are listed as separate themes on the LEGO Shop website AND the LEGO.com themes browser, and branded with those separate theme names on the box art. Furthermore, here on Brickset, The Hobbit and The Lord of the Rings are listed as separate themes even though those themes, too, share a universe and are based on movies that share ownership. While HP/FB may have been described collectively as "LEGO Wizarding World" in some press releases, promotional material, and their Minifigures series (which does not benefit from a shared theme name here on Brickset, since here it's listed as a subtheme of Collectable Minifigures), the same is true for LEGO DC Comics Super Heroes and LEGO Marvel Super Heroes being described collectively as "LEGO Super Heroes". To me all this points towards making Fantastic Beasts its own theme here on Brickset and putting the new Harry Potter sets back in the previous Harry Potter theme. The Studios theme has no subtheme for its 2002 monster series, which I think deserves one on account of being easily distinguishable from other Studios sets. the theme of #1974 needs to be changed from "Miscellaneous" to "Assorted" (the theme where all other multi-theme co-packs are listed). #2853944 should probably be in the theme "Promotional" instead of "Miscellaneous". There's a discrepancy where the Toys 'R' Us Bricktober minifigure collections from 2016 are all listed as "Miscellaneous", but the Bricktober mini-modulars from 2014 and Bricktober Vintage Minifigure Collections from 2012/2013 are all listed as "Promotional". Theme-specific Bricktober sets are listed in the "Promotional" subtheme of their respective themes. Some Toy Fair exclusives are in the "Promotional" subtheme of Star Wars, but #PROMOSW007 is in the "Miscellaneous" subtheme of Star Wars. #PROMOSW005 is listed in the theme "Miscellaneous" when I would expect it to be in either "Promotional" or "Various" (probably "Promotional" since it's a single model featuring two themes and not a co-pack featuring separate models from separate themes). Most SDCC and NYCC exclusive sets (tagged "SDCC"/"NYCC") are listed in the theme or subtheme they would have if they were regular sets (i.e. however their respective brands are ordinarily subdivided). However, #75112 and #SDCC2015-2 are listed in the "Promotional" subtheme of Star Wars instead of the "Solo" and "Episode V" subthemes. The Star Wars Collectible Display Sets from 2009 are all listed in the "Miscellaneous" subtheme instead of the subthemes for the specific movies/shows they respond to, possibly because they are not building sets. Most SDCC and NYCC exclusive DC Comics Super Heroes minifigures (also tagged "SDCC"/"NYCC") are listed in the "Promotional Exclusive Minifigure" subtheme of DC Comics Super Heroes. However, #COMCON014 (Batman) is listed in the "The Dark Knight Trilogy" subtheme, #COMCON030 (Green Arrow) is not listed in ANY subtheme, and #COMCON036 (Batman of Zur-En-Arrh) is listed in the "Batman" subtheme. Also, #SDCC2015-5 (Arsenal), #SDCC2016-2 (Atom) and #SDCC2017-1 (Vixen) are all listed in the "Arrowverse" subtheme that only contains them, and #SDCC2018-2 (Black Lightning) is listed in the "Promotional" subtheme that only contains him! Marvel Super Heroes SDCC minifigures, on the other hand, are labeled totally differently! Most are in the subthemes for the media they belong to, including "Comics" for comic-based figs. But #SDCC2018-1 (Sheriff Deadpool) appears in the "Promotional" subtheme of Marvel Super Heroes together with #75997 (Ant-Man and the Wasp building set) and #5005256 (Bricktober minifigure collection)! The "Mini Building Set" subtheme of Star Wars includes mainly 2002 to 2004 sets with visible "Mini" or "Mini Building Set" branding on the package. But it also contains other 2008 to 2012 Star Wars mini vehicle polybags with no such branding like #8028, #20016, #30051, #30055, and #30056. Other Star Wars mini vehicle polybags (tagged "Microbuild") are all in the subthemes of the specific media they come from. That's as much as I've got right now. I spent way longer identifying the scope of these issues/inconsistencies than I probably should have. Hope at least some of these can be remedied! You do make some good points, particularly about wizarding world which I've never liked as a theme. ^ I am happy to look at some of these if it helps. Subthemes for movies is one that I have look at myself in the past. I think that each Lego movie should stay as their own theme. 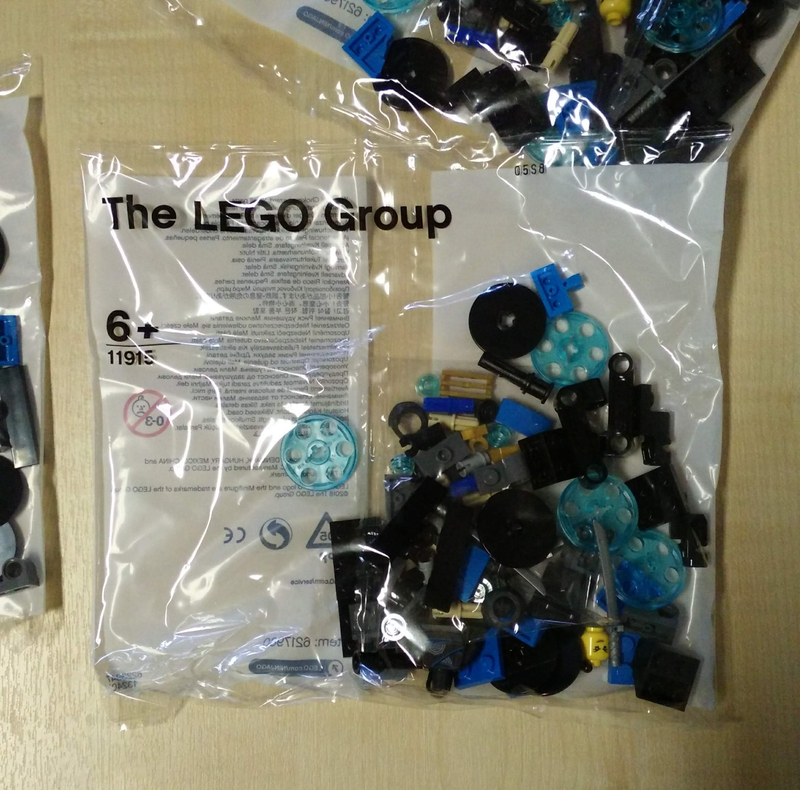 Partly because of the number of sets they get and that Lego movies are special but also because you give yourself problems if you start connecting them. The Lego Batman movie has its own theme but could be put with the DC theme or with the Lego movie theme, same with Ninjago movie. The Wizarding World is a hard one, I think its better for brickset to have a consistent rule rather than just looking at what Lego does on their site as they change things too often. Star Wars, Marvel, DC, Jurassic World, TMNT all cover a 'world' rather than a single set of films, in fact some are not even the same 'world'. I think because of the first 3 themes I mentioned the only consistent way to more forward would be to keep Wizarding World but add in all the old Harry Potter sets into it and create a Middle Earth theme to put the Hobbit and LOTR into. Batman and Spider-man could also be added to DC and Marvel. Didn't want to make a thread for a simple question, what's the deal with collectible minifigs being both sorted by "in sets" and having a loose option? How should I be entering them in? It looks like most do by set, but they're loose if they are open? I think the 'set' option implies you have the accessories and the stand, whereas loose means just the minifig. But those BrickSet tools are to be used how you want really. Yes, that's pretty much it. the 'loose' option is for use when you've acquired figs other than by buying the set they come in. I just noticed that #79003 does not have a tag for Gandalf the Grey. Neither does #9469 or #30213. Seems like it’s missing on a lot of LotR sets. Why was the D2C tag removed from #71043? @Aanchir - I'm not sure but it has now been reinstated. Question about #75221 usually it shows a section for minifigs, but on this entry it doesn't. Is that just a timing thing because the set is newer? It also has no tags whatsoever. Looks like an incomplete entry. The figs will be added when it's been inventoried at BrickLink. I'll ask @CapnRex101 to check the tags on this, and other 2018 SW sets. #75956 is marked "Hard to Find" in the Fall catalog, and I was able to verify on the Target website that it is a Target exclusive in the United States. 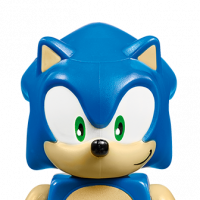 #41320, #41350, #41631, #41611, #70613, #70911, #75174, #75204, and #76095 are also all listed as exclusives on the Target website. Some of these already have their availability listed as "Retail - Limited" in the Brickset database but many (especially the more recent releases) do not. #60198 is also marked "Hard to Find" in the Fall catalogs for both the US and GB, but I wasn't able to find it on the Target, Walmart, or Barnes & Noble websites. Best I can tell it may be an Amazon exclusive, at least in the United States? #41456 is marked as "Hard to Find" in the Fall catalog, and IS on the Target website, but does NOT have their "Only at Target" tag. So no idea what that's about. Walmart definitely doesn't have it, and the ones on their site are marked-up copies shipped from and sold by ToyWiz, which is the same as what happens with all sets that are exclusive either to LEGO or to other retailers. #76109 is marked "Hard to Find" in the Summer catalog and not sold by Walmart, Target, OR Amazon (except Amazon Marketplace resellers). LEGO exclusive maybe? The Brickset database doesn't currently list any availability for the set. #70608 is marked "Hard to Find" in the Spring catalog, but is sold by both Target AND Walmart. Again, no clue what that means. Was it a Toys 'R' Us exclusive pre-bankruptcy, maybe? Or is it just marked "Hard to Find" due to being so much older than the other Ninjago Movie sets in the Spring catalog? FWIW I've seen #76109 in Walmart (and at the LEGO store). Yesterday, in fact. What does “Hard to Find” even mean? I always assumed it was just marketing BS for large or D2C sets. It usually indicates a retailer exclusive from my experience. Lego [email protected] doesn't usually identify which retailer you can also find it at (why would they when they're advertising buying it through them?) but with a little digging they usually turn out to otherwise be exclusive to one major retailer or another. #5005359 is still marked as “Not yet released”. @Astrobricks - Thanks, that has now been updated. Do you want instructions like this? The kids got them for doing a LEGO Life survey. #11915 Nya's Hoverbike from LEGO NINJAGO Build Your Own Adventure DK book. It doesn't seem to be in any database. OR the "Aircraft", "Space", "Maersk", and/or "Trains" subthemes should be merged into it in accordance with how they are categorized in the Historical Products section of the official Creator Expert website. I suspect the former probably makes more sense for how Brickset users would expect these sets to be organized, since that means the categories would continue to unite their contents based on their subject matter and whether they are or aren't minifigure scale. Even then, that definition would still include trains. I just feel it makes more sense to change the name of the category to more specifically describe its contents (in accordance with how LEGO currently defines their Creator Expert subthemes), or move the other types of vehicle sets into the category (in accordance withhow they used to define their subthemes). At the very least, it's safe to ignore what Lego do with their Creator Expert subthemes, since Brickset doesn't even use Creator Expert at all. ^ Do you think we should, given it's here to stay? 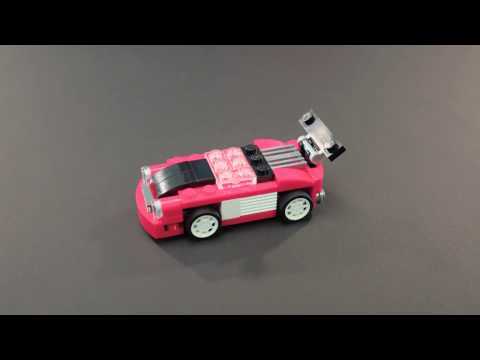 ^ Yes, given that Lego have gone back and called Tower Bridge, Taj Mahal, Volkswagen T1 Camper Van, Vestas Wind Turbine sets creator expert on the box when they were all originally unnamed surly means that all the sets in advanced models would be called creator expert if rereleased. It does seem odd that brickset doesn't have a creator expert theme at the moment. Agreed, and also Brickset has had no problem in other cases retroactively categorizing themes that had ambigous branding in the short term with the newer/more consistent branding that took its place in the long term. For example, when the Designer Sets, Inventor Sets, and X-Pods were first launched, none of them were considered Creator subtheme. 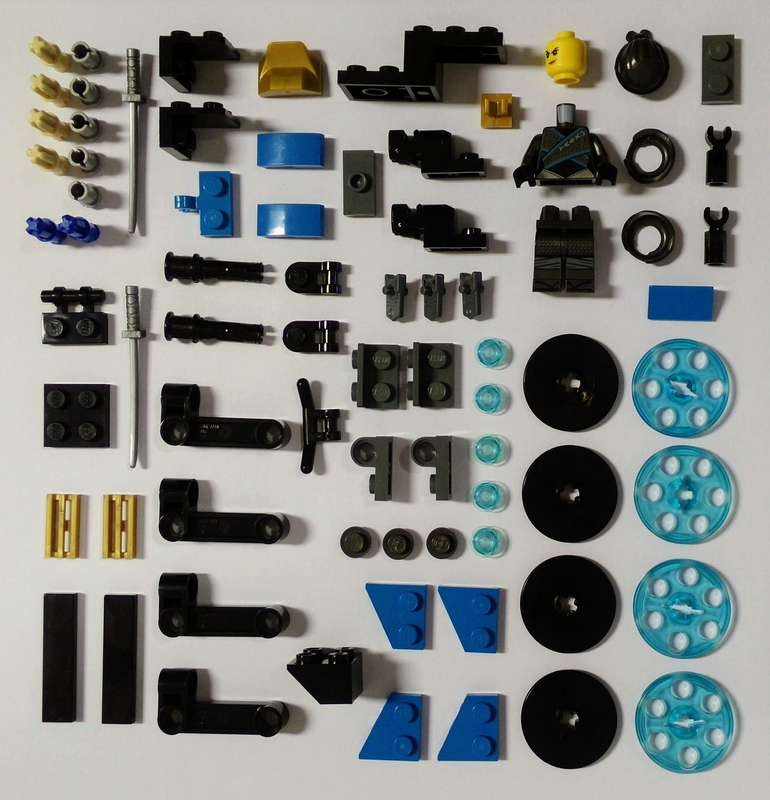 Instead, Designer Sets, Inventor Sets, X-Pods, Creator, and I kid you not, even Technic and Mindstorms, were all considered separate subcategories of a larger category called Make and Create (https://web.archive.org/web/20040903193014/http://www.lego.com:80/eng/create/). In 2003, the box and instruction art for new Technic sets even adhered to the same absurdly generic layout as the Designer Sets, Inventor Sets, and X-Pods! And of course, from 2001 to 2005, "LEGO Creator" meant something VERY different from what it means now — closer to what was previously known as LEGO Basic (1972–1999) or LEGO FreeStyle (1995–1999), and has since been known as LEGO Creative Building (2006–2008), LEGO Bricks & More (2009–2014), and LEGO Classic (2015–present). Sets previously released as Designer Sets and new sets along those lines were rebranded as "LEGO Creator" (with X-Pods as a subtheme). If we're willing to retroactively apply the Creator brand to other sets that weren't actually branded as Creator, isn't it fair to do the same for older "Advanced Models" sets which were, for the most part, released without ANY official theme name? I suppose it comes down to whether you want to prioritise historical accuracy or consistency and ease of use. I agree with @Aanchir that the latter would suit the database better. https://www.hothbricks.com/nouveaute-lego-ninjago-2019-853899-lloyds-kendo-training-pod/?utm_source=dlvr.it&utm_medium=twitter New Ninjago kendo training pod! I have a few questions about the minifigure entries. For TLM080 Unikitty, the database says I don't own it but I do own COMCON040-1 so by default why don't I own that figure. The same can be said for COL339 baby, I own 71011-5 Tribal Woman which comes with the baby so by default I should own that one too?